For most, it’s a love-hate relationship. The relationship you develop with the treadmill, that is. Love it because you know, somewhere deep down, it is a great training tool. Hate it, well, because let’s face it – running indoors and staring at a wall or daytime TV might just be more mentally taxing than physically taxing. They don’t call it The Dreadmill for nothing. But yes, yes, we keep reminding ourselves of the benefits. Does it matter what treadmill you use? If you have been to any large gym, you’ve seen them. The long row (or row upon row) of treadmills. Are they all created equal? Does it really matter which one you use? In general, the answer is no. Sure, some treadmills are better than others, but if you are just getting started, it’s not going to matter that much. 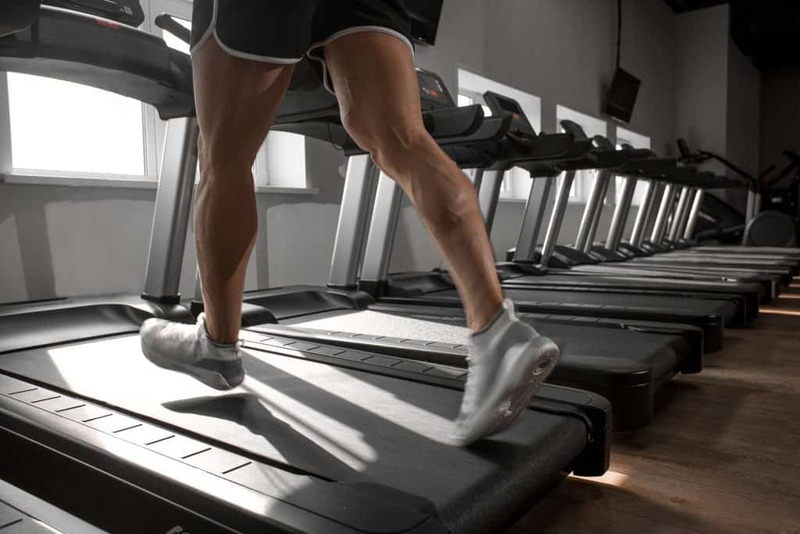 The two features that nearly every treadmill offers are Speed and Incline. Honestly, in my 15 years of running, I rarely use anything except these features. They will become your best friends when it comes to using a treadmill. Then there are the more advanced treadmills that offer different tracking features, pre-programmed running routines, heart rate monitors and television screens. All of these have their benefit, but they are mostly just bells and whistles. They aren’t going to benefit you as much as just generally running. If you are just getting started, I do recommend that you use the safety clip on the treadmill to stop the machine if you happen to fall while using it. You can never be too careful. I’m sure you don’t want to end up on someone’s YouTube video of classic treadmill fails (we never ever laugh at those videos ever, we swear). It’s also recommended not to use the side rails while the treadmill is turned on. You can use them to step up to the machine or steady yourself once you are stopped. Definitely don’t hold onto the hand grips or side rails while you are running. If you feel like you need to grab the rails or hand grips, your speed may be too high, and you should just slow it down a bit. Remember to breathe. Your body needs a lot of oxygen due to your level of exertion. Breathe naturally, through your mouth mostly, so that you can get enough oxygen. Some runners prefer certain breathing ratios, but really every person is different. Runnersworld.com has a good article that teaches a 3-count breathing technique to help minimize long term injuries. What about the warm up? I cannot stress enough the importance of warming up. Running is one of the most physically demanding exercises you can do. In fact, Menshealth.com states that running increases the load impact on your body 5 to 12 times more than that of walking alone. Injury and strain on the muscles are much more common when you haven’t properly warmed up. Warm up with a simple 5-minute walk with your speed between 2.5 mph and 3.5 mph, depending on your current physical ability. If you’ve already been running outside for a while, you may not have to worry about this as much. However, running on a treadmill is different from outside runs. The treadmill forces you to stay at the speed you indicate. You might not be used to keeping such a steady pace all the time. 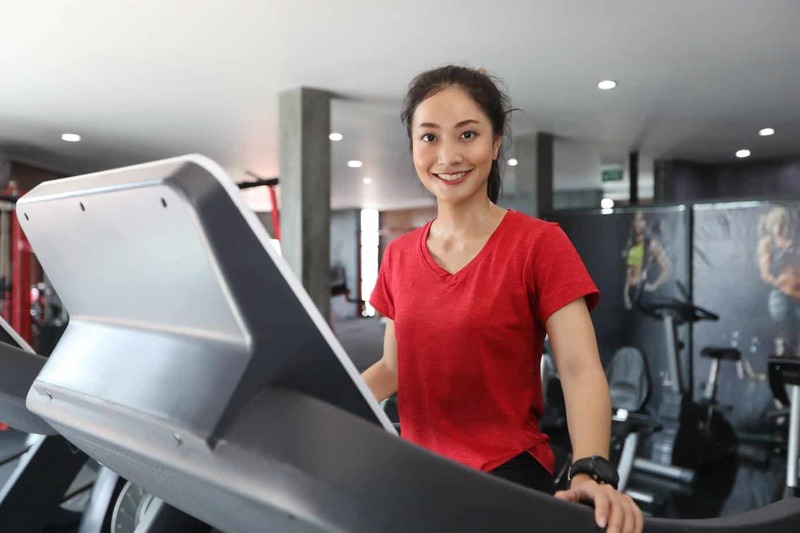 Start out by testing your stamina on the treadmill a little at a time by adding a few more minutes to your run, or increasing your speed by .5 mph per week. This will allow you to gauge your progress or improvement. Running on a treadmill can feel similar to running on a hamster wheel: constantly moving forward at a great speed but never really getting anywhere. If you are using a treadmill with a television, obviously you could watch a show while you are running. Otherwise, try running with a set of headphones and some music or a podcast. For many runners, jamming out to their favorite tunes really helps with endurance and morale during running. And there are many, many running-related podcasts out there. Another way I like to ward off boredom is by using those speed and incline settings. Changing up your speed and creating mental intervals can help the minutes pass. For instance, I might do one or two minute intervals, alternating between up-tempo paces and active recovery. Another option is to gradually add some incline every two or three minutes, rotating through different levels of difficulty. If you haven’t been running long, you could do intervals between a walk and a jog pace. With today’s technology, you can even find running apps and gadgets, like a Fitbit, that might make treadmill running more enjoyable. They are worth a shot, anyways. Everyone is different, so you will just need to figure out what helps you get through your workouts. Mental attitude goes a really long way with running, especially on a treadmill. Even if you are physically fit doing another sport, running is different from everything else. It takes time to build up stamina and for your body to get used to the impact running has on your body. The more you run on a treadmill though, the more you may decide you like it. Or at least you may like the benefits and results you get. I personally feel that using a treadmill helps me get faster. It helps push me to stay at a steady pace when that is the goal, and it challenges me with interval and hill workouts when I I need a high-quality workout. I’m less likely to do this on my own outside. If nothing else, you’ll at least eventually get used to treadmill running after you’ve stuck with it for some time.